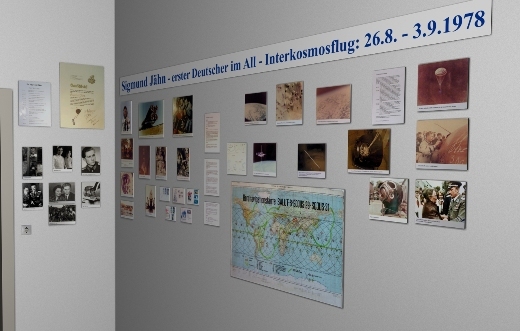 This rather small room commemorated the first spaceflight of a German, the east-german Sigmund Jähn, in 1978. On the left side of the room images about Jähn and his flight were displayed. 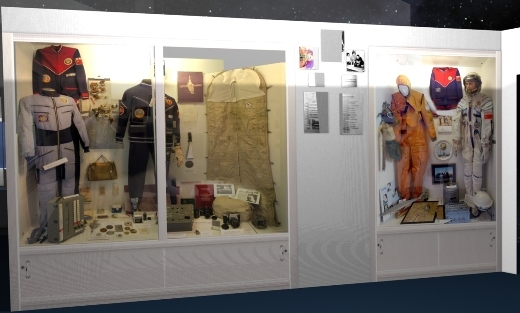 The two showcases on the right side presented numerous items, space gear and wear, souvenirs and memorabilia connected to his historic flight.